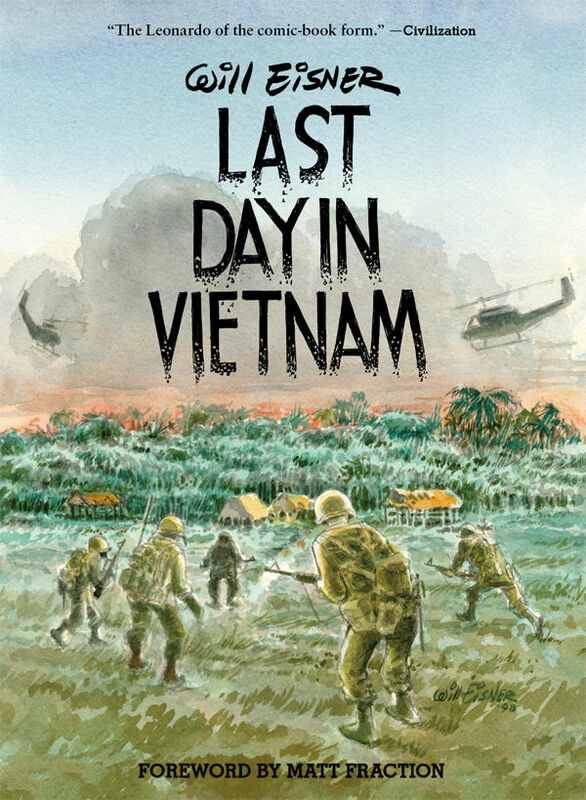 The Fellowship was fortunate enough to obtain a copy of LAST DAY IN VIETNAM: A MEMORY from Dark Horse Comics. The stories and art is Will Eisner. The collection includes an introduction by Will Eisner and a forward by Matt Fraction (FANTASTIC FOUR, HAWKEYE). LAST DAY IN VIETNAM: A MEMORY is a collection of fictional stories during the Vietnam conflict. You see the struggles the soldiers deal with during the Vietnam War, mental, emotional, and physical. What can I say about the legend that HASN’T been said? Mr. Eisner’s artwork and writing is incredible. The first story, “Last Day in Vietnam,” really grabbed me with the use of decision to do it in first person form – a literal “you are there” point of view. It was a smart one, forcing the reader to be a part of what is going on. The other five stories are just as engaging. Mr. Eisner drew from his own military experiences in addition to the stories he was told (and saw) during his trips as a journalist for P.S. Magazine. This is storytelling done right. LAST DAY IN VIETNAM: A MEMORY is in stores now and available at www.darkhorse.com.